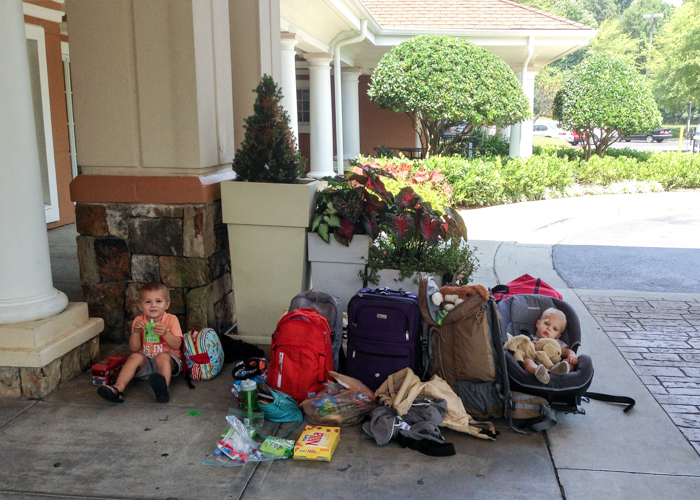 Whew, I didn’t mean to take so long of a blog break but traveling with 2 children under 3 is a full-time job and I just couldn’t get the time or brain space to do anything else! We are back home now and beginning the unpacking and transitioning to East Coast time and real life again- not an easy task for any of us! As fun as our trip was, I am happy to be back and looking forward to spending some time sewing again. I’ve missed it! 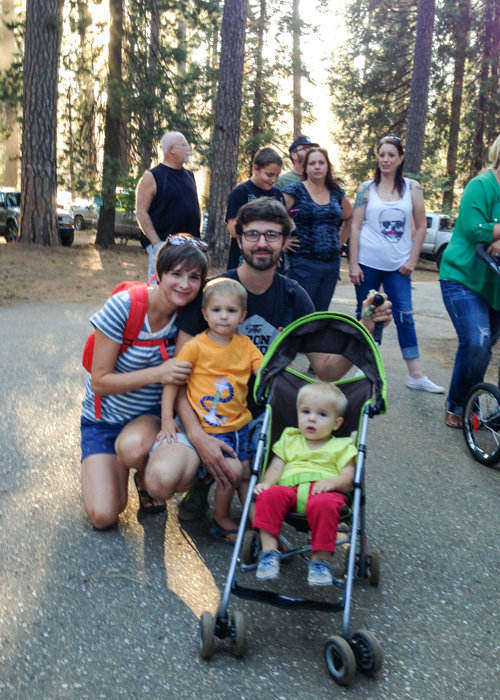 Because this was such an epic trip for our family, I want to share a bit of a travelogue of our experiences and adventures along the way. More for the fact that I don’t want to forget any of this time than I think that y’all are interested in reading about it. I met up with such fun people and had so many great experiences that I want to memorialize this trip forever. But who knows, maybe some of you would also like to read about our time on the West Coast. If not, just ignore anything with the travelogue title and you’ll be good to go. 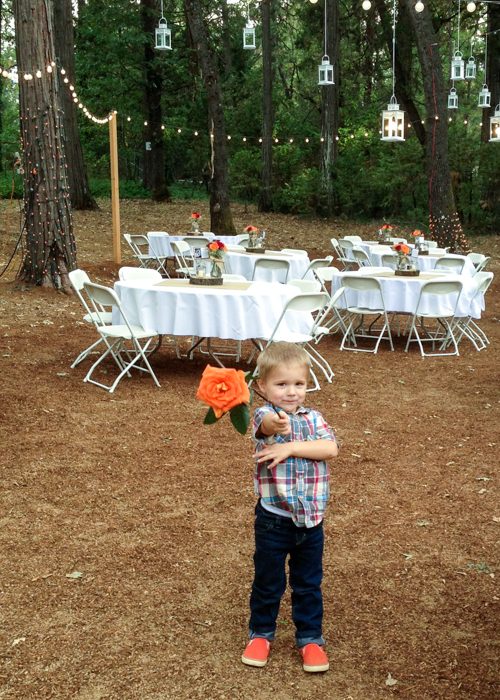 I’m going to dive right in today with the first 5 days of the trip (and the reason we went out in the first place), my brother’s wedding in Grass Valley, CA. BTW all of these pictures are taken with my iPhone 5 so the quality is not as great as they would be with the real camera but travel takes place too quickly for big cameras! Also I’m trying to share different pics than I did on IG so if you follow me there (@oliversfancy), you won’t get a complete repeat! Getting ourselves out there in the first place was a fun adventure! We made every effort to pack very light because we knew that would would have laundry facilities along the way. (sometime soon, I will tell you about my fun challenge of capsule wardrobe packing) Even so, bringing 4 people, 2 car seats, loads of snacks, clothes and accessories ended up being quite the haul! The boys did fairly well for their first flying experience: key being lots and lots of snacks to keep the crankies at bay! 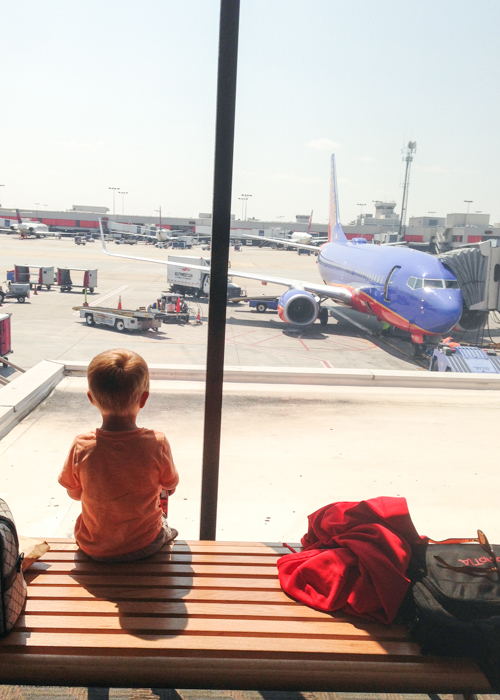 Oh and watching the airplanes in the airport was quite fascinating. 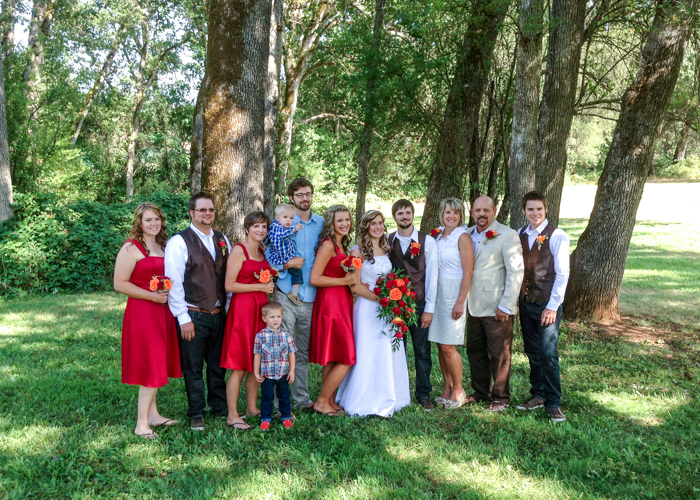 The wedding went off beautifully and we all looked smashing if I do say so myself. 🙂 Only ended up with one not-so-great shot of my little family but glad to have gotten something. By the way Oliver is wearing his Vintage May outfit. He has gotten quite a bit of wear out of those skinny jeans and I can’t wait to make him more for this fall/winter! 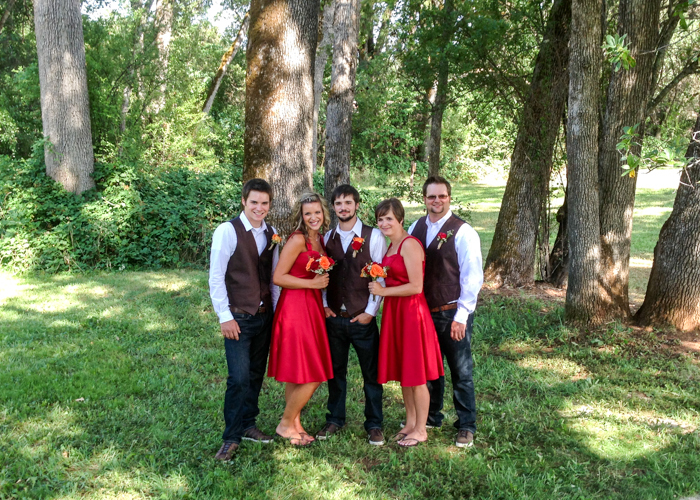 Siblings oldest to youngest…Can’t believe 3 of us are married now! 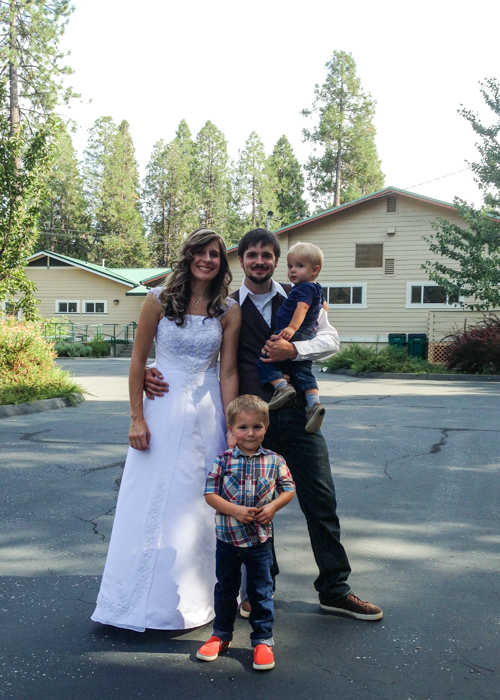 Bride and groom with my two munchkins. They love Uncle Jared and can’t wait to get to know Aunt Stephanie more. 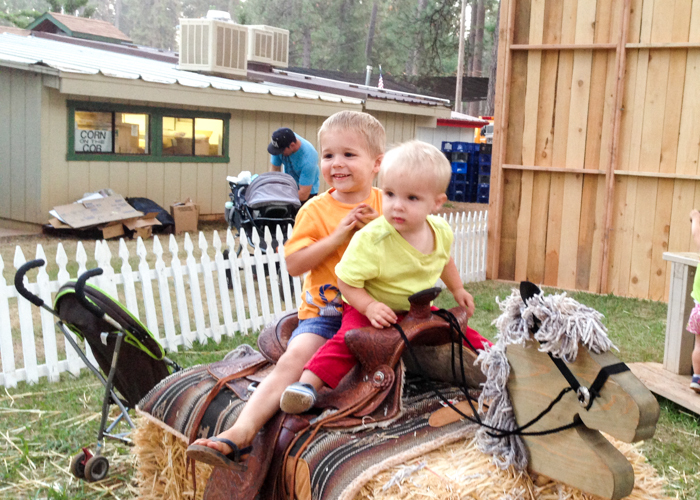 The night after the wedding, we took the boys to the Nevada County fair which was in town that week. So fun! 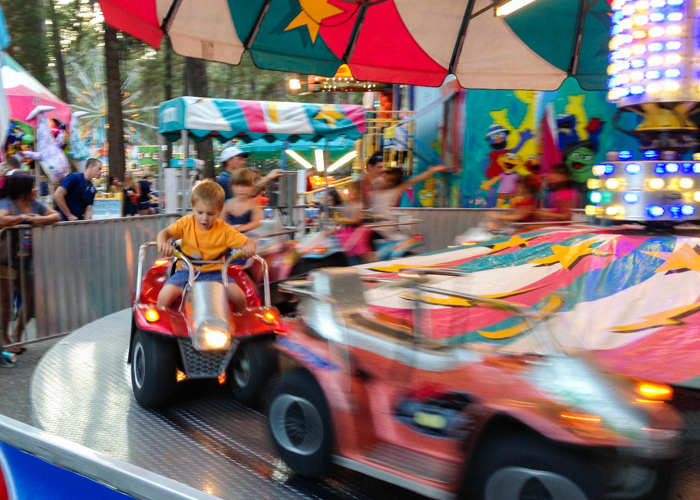 I don’t think I’ve ever been to a state or county fair and I loved the experience. It’s not a super cheap experience but it was worth it for the fun memories with the boys. We let Oliver pick about 4 rides to go on and he especially loved these car rides! I loved the fact that we all got to go on the carousel. I’m such a kid at heart and love to ride those every chance we get. And Eliot didn’t get left out of the fun either. He loved seeing and petting all the animals! Funny fair story: Oliver dirtied his shorts and we had to do an emergency change but the only pair of shorts I had on hand were Eliot’s 12 month shorts. I didn’t say a word, just slipped those shorts on Oliver (couldn’t believe they actually buttoned!) and he walked around in 12 month shorts the rest of the night, none the wiser. He would have been upset if he had known, but thankfully he’s a skinny kid or he would have been the kid at the fair with no pants! 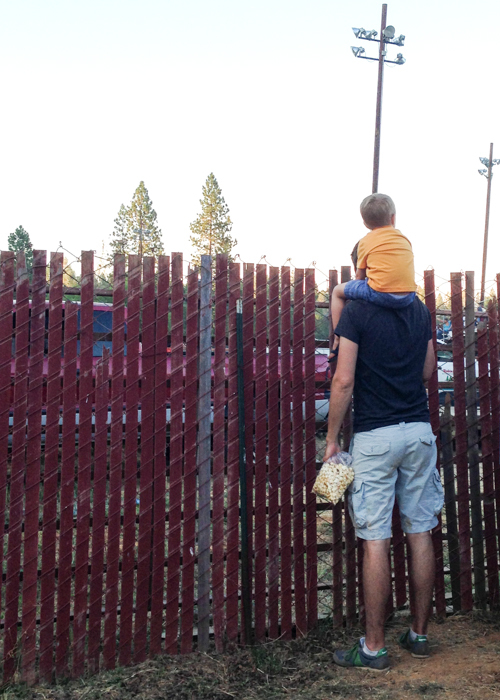 Checking out the monster truck jam happening on the other side of the fence. And snacking on some yummy kettle korn! A must-try when they cook it in the kettle right in front of you. 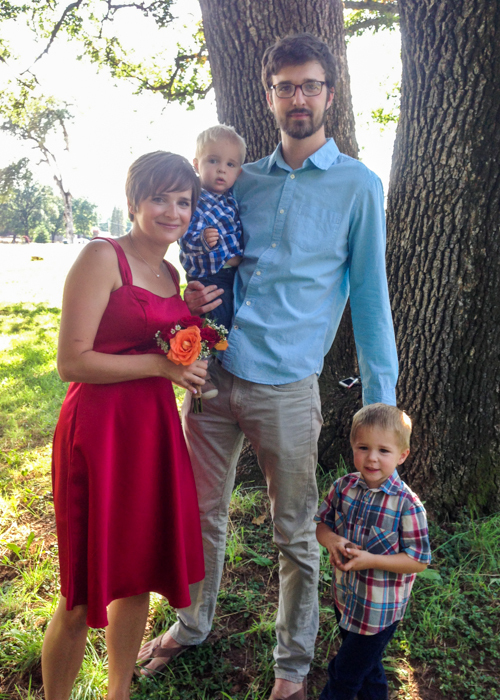 This entry was posted in Travel and tagged california travel, travel tips, traveling with two toddlers by oliver's fancy. Bookmark the permalink. You made a beautiful bridesmaid 🙂 Looks like the start to an awesome trip! You’re too kind 🙂 Thanks, it was an awesome trip!